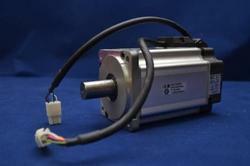 Avail from us optimum quality range of Panasonic Servo Motors. 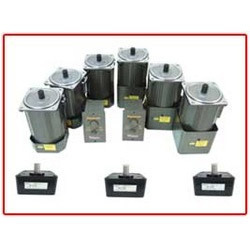 These are designed at state-of-the-art manufacturing unit using high grade components. Best known for its energy efficiency and high performance, these products are tested several times before the final delivery at client's premises. These motion control motors are function for systems where precision, smart control, safety, and easy configuration are the most important factor. Our range can be availed at market leading rates. Integrated Servo Motor repair and maintenance service provider . 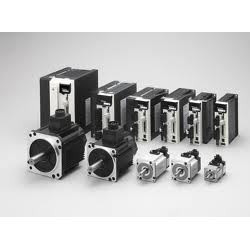 We are dealing with Integrated Servo Motor - Dunker Motoren,Allen-Bradly- Kinetix 6000M Integrated Drive-motor Systems,Omron-R88E-AECT,B&R- ACOPOSmotor , Elmo , electromate ,JVL ,Motorpower ,tolomati, moog ,schneider-electric ,Leadshine iSV,rotero ,teknic-ClearPath ,bonfiglioli , AMK,Beckhoff , Parker -Motornet DC servo motors ,festo , danfoss VLT Integrated Servo Drive ISD 510 ,SilverMax Integrated Servomotors ,LSis-Pegasus Series ,Exlar ,Faulhaber ,stoeber ,ADVANCED Motion Controls ,Yaskawa and cyber-motor.wittenstein. Star automations specializes in design ,development,servo motor manufacturers and sales of high-quality low-cost motion control products. 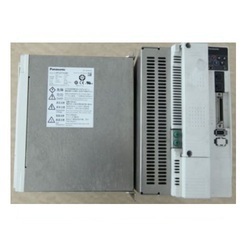 Expert in Panasonic Servo Motor Repair Service.we are specialist in repairing legacy AND OBSOLETE Panasonic servo motor and drives. 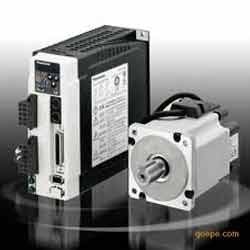 Offering Panasonic ac Servo drivers and servo Motor. 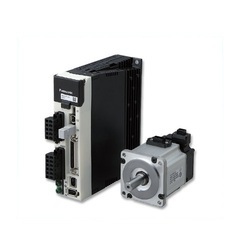 The latest Panasonic servo series Minas A5, Panasonic MINAS A5 series servos provide high performance and function for systems where precision, smart control, safety, and easy configuration are needed. 2KHz response frequency Achieves 2kHz - the highest response frequency in the industry. In addition to its advanced control functions, the MINAS A5 features an LSI chip architecture that enables ultra-fast system operation. In view of its remarkable speed and superb positioning response, the A5 is suitable for the most demanding systems.20-bit encoder; 1.04 million pulses per revolutionEnsures smoother operation by means of manual/automatic notch filters which significantly reduce vibration at machine stoppage. Enables exceptionally fast and accurate positioning. A new proprietary signal processing technology achieves 1.04 million pulses per revolution with a 20-bit encoder.Low cogging torque Achieves the industry's most stable speed and lowest cogging torque by minimizing pulse width. This was made possible by a new design featuring a 10-pole rotor for the motor as well as a magnetic field analysis function. With the reduction in torque variation, the MINAS A5's speed, stability, and positioning behavior have been markedly improved.4Mpps input/output pulse Handles positioning commands via pulse train input - another feature that puts it far ahead of its competitors. Command input and pulse output can both achieve speeds of up to 4Mpps. This enables ultra-fast, high-resolution operation, including the standard full closed control mode.Real-time auto-gain tuning Incorporates the industry's fastest, high-performance real-time auto-gain tuning system, with a simple setup. After installation, tuning is performed automatically upon completion of several operations. When the response frequency has been adjusted, simple tuning results in a change to a single parameter value, and fine-tuning can be carried out by activating the gain adjustment mode in the setup software. The automatic vibration suppression function minimizes equipment damage. Additional mode and stiffness parameters enable easy response frequency optimization for specific machine types such as vertical axis or high-friction, belt-driven machines.Manual and auto notch filters Eliminates the need to monitor troublesome vibration frequencies. By automatically detecting vibration and defining a simple auto-gain setting, the MINAS A5's high-response notch filters greatly reduce interference and vibration caused by equipment resonance. For depth adjustment, the A5 features a total of four notch filters - the maximum available in the industry - with a setup frequency range of 50 - 5000Hz. Two of the filters share the auto setup.Manual and auto damping filters Suppresses the natural vibration frequency component of the command input, which greatly reduces axis vibration at machine stoppage. The number of damping filters has been increased to four from the conventional two; of these four, two are for simultaneous use. The available frequency range has been extended significantly to 1 - 200Hz, and the auto setup has been simplified.Setup software with motion simulation Reads response frequency data from the actual machine into a sample general-purpose application. 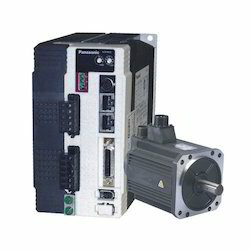 A simplified simulation function allows you to check gain and filter effects without adjusting the actual equipment.If you are looking for Panasonic Servo Drivers, please call us .we will do our best to help you find the Panasonic MINAS Servo Drives that you are looking for at the most competitive prices possible. If you are looking for panasonic all minas a4 servo system and repair and maintenance service, please contact us. 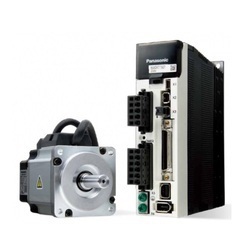 we will do our best to help you find the panasonic minas a4 servo motors and drives that you are looking for at the most competitive prices possible. MHDM022P1C and mbddt2210 – ex-stock most of our standard items are available ex-stock for any other related information feel free to contact us. Achieves 2kHz - the highest response frequency in the industry. In addition to its advanced control functions, the MINAS A5 features an LSI chip architecture that enables ultra-fast system operation. In view of its remarkable speed and superb positioning response, the A5 is suitable for the most demanding systems. Achieves the industry's most stable speed and lowest cogging torque by minimizing pulse width. This was made possible by a new design featuring a 10-pole rotor for the motor as well as a magnetic field analysis function. With the reduction in torque variation, the MINAS A5's speed, stability, and positioning behavior have been markedly improved. Handles positioning commands via pulse train input - another feature that puts it far ahead of its competitors. Command input and pulse output can both achieve speeds of up to 4Mpps. This enables ultra-fast, high-resolution operation, including the standard full closed control mode. Incorporates the industry's fastest, high-performance real-time auto-gain tuning system, with a simple setup. After installation, tuning is performed automatically upon completion of several operations. When the response frequency has been adjusted, simple tuning results in a change to a single parameter value, and fine-tuning can be carried out by activating the gain adjustment mode in the setup software. The automatic vibration suppression function minimizes equipment damage. Additional mode and stiffness parameters enable easy response frequency optimization for specific machine types such as vertical axis or high-friction, belt-driven machines. Eliminates the need to monitor troublesome vibration frequencies. By automatically detecting vibration and defining a simple auto-gain setting, the MINAS A5's high-response notch filters greatly reduce interference and vibration caused by equipment resonance. For depth adjustment, the A5 features a total of four notch filters - the maximum available in the industry - with a setup frequency range of 50 - 5000Hz. Two of the filters share the auto setup. Packaging Details: Packing department is maintained. Star Automation is one of the leading National Suppliers in India. 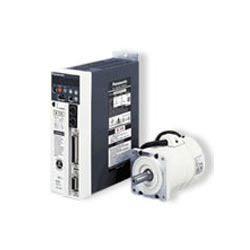 Offering Panasonic ac servo motor and Panasonic AC Servo driver. Star Automation Provide solutions to your Problems by designing and manufacturing Special Purpose Machines and Automation systems to satisfy your needs.High performance and function for systems where precision, smart control, safety, and easy configuration are needed.We have all series Panasonic servo motor and so on to meet your demands, originally made in Japan.Our sales representatives can provide you with a pricing and availability quote for Panasonic MINAS Servo Drives. we can provide Third Party Services all over India.For any other related information feel free to contact us. Textile, Printing & Packaging machinery; Conveyor lines, Currency counting machines, Vending machines and other automation equipment. Ultra Compact and Exclusively designed for pulse train position command. 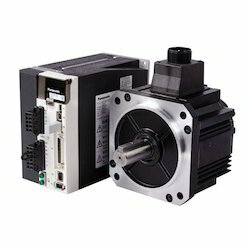 Looking for Panasonic Servo Motor ?